At Westminster Christian Academy we strive to answer these questions and more for each family that considers trusting us with their child’s education. An in-person tour of the campus and a shadow day for your student is the best way to pick the perfect school, but in the meantime, we’ve answered some common questions about life here at Westminster and suggested a few more to ask on your tour of a Christian school. Is the school accredited and state-approved? We hold academic excellence and integrity in the highest regard. Westminster is accredited by AdvancedED and the Southern Association of Colleges and Schools; holds state approval from the Louisiana Department of Education; and is a member of both the Association of Christian Schools International and the Educational Records Bureau for high-achieving independent schools. Is the school inclusive of all faiths? Westminster is an evangelistic school, meaning we’re proud to welcome all faiths at WCA. More than 125 churches are represented by our families and staff from across Acadiana. Because we’re diverse in worship, we defer questions regarding specific doctrinal beliefs to the home and spend classroom time pointing students to scripture. All students attend Bible class and chapel throughout their time in school, and all lessons are built on a biblical foundation and around our statement of faith. Christ isn’t just first at Westminster—He’s central to everything we do. What is the disciplinary philosophy? Westminster teachers employ a biblical, wisdom-based disciplinary process which positively affects students’ behavior beyond just school hours. Starting in our preschool classrooms we use biblical terms: instead of ‘bad’ and ‘good’ students, behavior is ‘wise’ or ‘foolish.’ Our staff works to gently educate, train and correct students throughout their years at WCA, guiding them to make wise choices and seek forgiveness and restitution after foolish ones. What types of technology are available to students? We believe in a traditional education with a modern delivery. WCA upper school assignments are completed online using the G Suite, and all students in 9th through 12th grades are assigned iPads for e-books, learning apps and online submission of assignments. Every classroom at Westminster has a SMART Board® for teaching, and various tools like podcasts are utilized for learning. Upper school students in Opelousas also have access to advanced technology classes in animation, graphic design and video editing, as well as a computer lab with cameras, editing programs and a green screen. What is the visitation policy for parents? Westminster’s visitation policy is open and encouraged. Parents are welcome to sit in on classrooms, and visits are welcome if you have questions or are deciding on a school switch. Parents are invited to monthly Coffee Chats on each campus with our Head of School to provide feedback and ask questions. We also welcome parents to participate and bond with their kids during the school day at chapel, which is weekly for preschool and elementary students and every other week for upper school students. What qualifications and requirements must teachers meet? Westminster teachers are devoted Christians who all share a love for Christ and a desire to see their students follow in His footsteps. 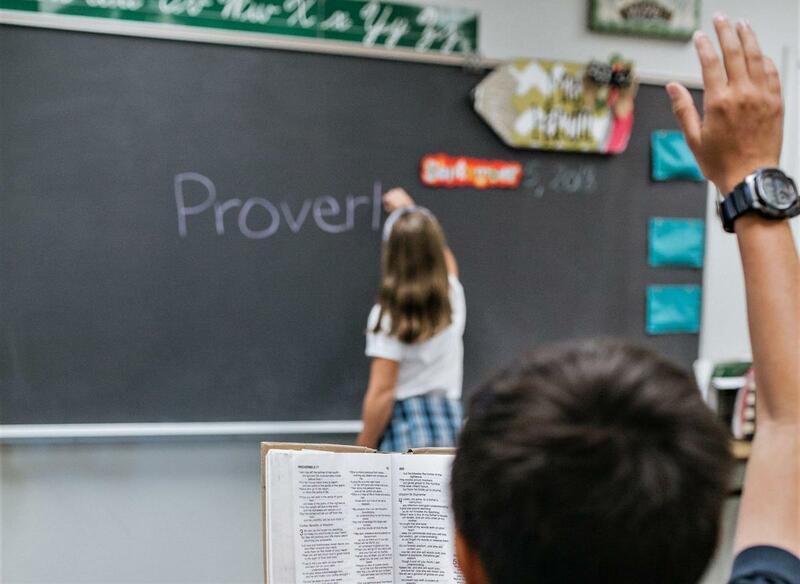 Along with a profession of faith, our teachers are experienced and certified educators who commit to continuous professional development, small group feedback discussions and biblical worldview training on a weekly basis. Not all lessons can be learned in a classroom, which is why we encourage our students to get involved in sports and extracurriculars. WCA students enjoy getting involved in art and drama clubs, student council, drumline, chapel and our mission team, as well as the Rangers—a backpacking and outdoor adventure program. Westminster kids at both the Opelousas and Lafayette campuses can join soccer teams as early as preschool, with more available in elementary school and all sports available to middle and upper school students. Can my child shadow someone for the day? Choosing a new school is a big decision, which is why we like to invite prospective students to shadow a current student at WCA for a day. Upper school students who come for a shadow day are paired with a student with similar interests, so they can follow them throughout the day, ask questions and maybe even make some friends in the process! WCA Admissions covers the new student’s lunch on shadow day. What else should I ask on a tour of campus? What is the average class size for my child’s grade level? How do parents receive grades? What are the safety and security measures in place on campus? What would be my child’s daily school and transportation schedule? When do students receive lockers? Does the school require volunteer hours from parents and students? What are the plans for improvement and expansion of the school? Our mission at Westminster Christian Academy is to assist parents in educating their children by imparting God's truth to transform society in the present and future generations. We hope to see you at one of our campuses soon to witness our vision of students equipped for lives of significance through superior education and transformative opportunities built on a biblical foundation. Contact us today to schedule a tour of our Lafayette or Opelousas Campus!